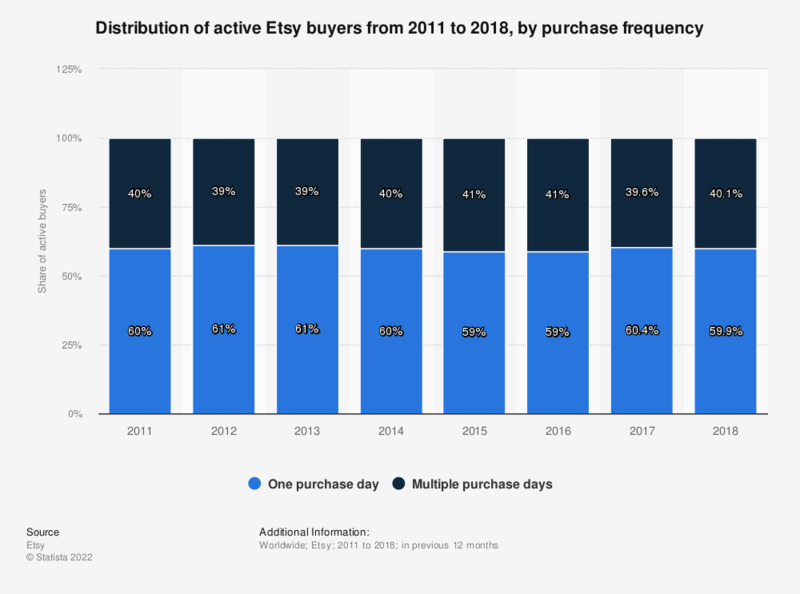 This statistic presents the distribution of Etsy's active buyers from 2011 to 2018, sorted by purchase frequency in the preceding 12 months. In 2018, 40.1 percent of active buyers made purchases on two or more days in the previous 12 months, up from 39.6 percent in 2017. Everything On "Etsy" in One Document: Edited and Divided into Handy Chapters. Including Detailed References.